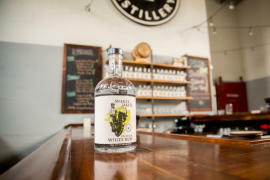 Located within eye sight of the Pennsylvania Farm Show Complex on Cameron Street, Midstate Distillery is Harrisburg's first craft distillery since prohibition. Stop by to explore the up and coming world of draft distilling. See our production floor, sample our current offering of spirits, and hang out for a cocktail. For almost two years the owners of Midstate Distillery have carefully renovated this former paint manufacturing building. Hidden behind the clean, unassuming exterior is a rustic industrial space featuring blend of reclaimed wood, stone and metal. Check out our Facebook page and website to find information about tours, upcoming events, and product offerings. Description: Our tasting room & cocktail lounge is a great place to host your next event. Reserve a private section for your larger party or rent the whole room for an event for up to 100 guests. Please visit the Events page on our website for more details. We are happy to negotiate our policies for non-profit and 501(c)3 organizations. 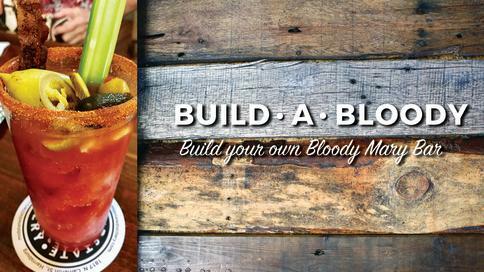 *20% off your check (including drinks, bottles & merchandise) at Harrisburg’s First Distillery.